Do you want to Update meizu pro 5 to nougat 7.0 ? if yes then you are at right place . Today in this guide we will tell you how to install android 7.0 on Meizu pro 5 . Meizu pro 5 is a 5.7″ Phablet which comes with a exynos 7420 octa core processor coupled with 4Gb of ram . The smartphone runs on android 5.0 lollipop based on Flyme 5.0 . The best thing about Meizu 5 pro is 21 megapixel camera which captures detailed and good images . 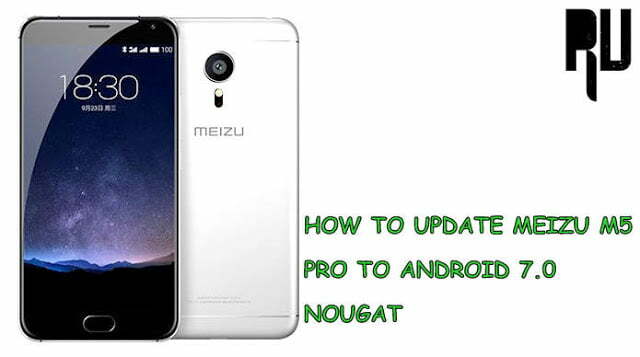 The smartphone was launched in September 2015 and it also comes with a good hardware but still there is no news on official nougat update for Meizu pro 5 So the users who want to upgrade their device in to nougat can simply install a custom rom based on android 7.0 until the company releases a update . Android 7.0 is the successor of marshmallow 6.0 and also the latest android version . The new os comes with many new features and upgrades . The best feature of android 7.0 nougat is the multi-window feature which lets you use other app without leaving the current app . The another best feature of the new os is System ui tuner which lets user customize quick settings and the new drop down menu .So lets start the guide on how to update meizu pro 5 to Nougat . Since the launch company hasn’t released any further upgrades for the device and it still runs on android lollipop so its hard to expect any official upgrade from the brand . Android 7.0 wallpapers and ringtones . Related : List of Nougat custom rom for popular android phones . List of Devices getting official nougat 7.0 Update . As this is a custom rom so there are some points and pre-requisites you have to follow before flashing the rom on your device . Make sure there is more then 65% battery in your device . 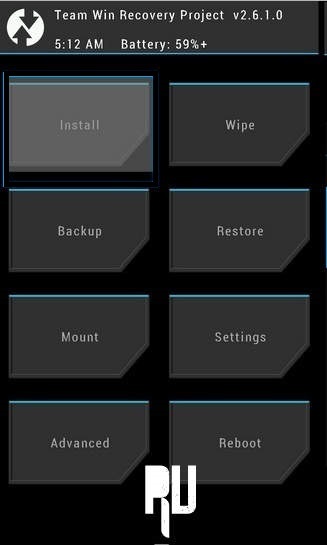 Make sure CWM or TWRP recovery is installed . This custom rom is only for Meizu Pro 5 so dont try to flash it on any other device . It is recommended that you download the update in your pc only . Minimum 4Gb of space is required in the internal memory to flash the update . Make a backup of all contacts and important files . First of all Connect your Meizu device to Pc using a usb cable . Now Download nougat custom rom . Now Rename the downloaded file to Update.zip or whatever you like . Now you have to Boot your Meizu Pro 5 in recovery mode . To boot in recovery mode you have to press power button and volume button together . After the smartphone enters in recovery mode you will see many options . Now make a backup of current installed os, This will help you if anything goes wrong while installing the rom . Now tap on Install and choose the Rom . As soon as you tap on install the flashing procedure will start . After sometime you will get a notification ” Mobile updated successfully ” . Thats all !!! You have successfully updated Meizu pro 5 to android 7.0 Nougat . Thats all !!! So this was how you can Officially update Meizu pro 5 to android 7.0 nougat . So this was our guide on How to Update Meizu pro 5 to android 7.0 Nougat using Cm14 rom. I hope this guide helped you .